A lovely, dry day with glimpses of blue sky. 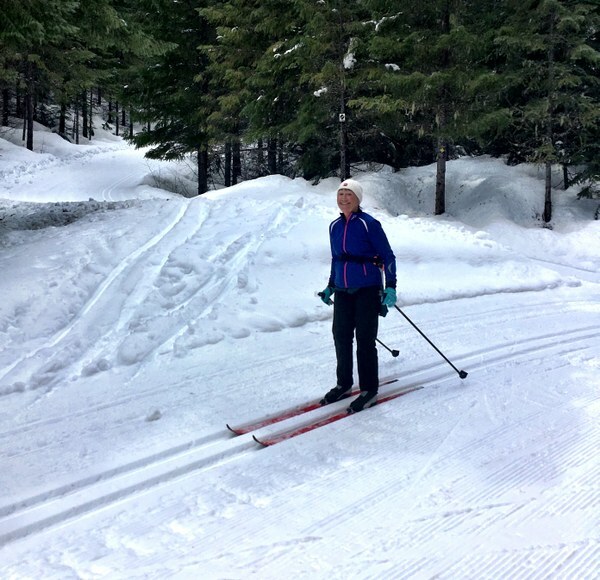 We skied on freshly groomed trails. All of the trails at Cabin Creek were freshly groomed for classic and skate. No new snow fell since early morning grooming. Weather was mid-30s. We had a lovely trip, leaving Issaquah at 8:00 and arriving at Cabin Creek at 8:45, with almost dry roads the entire way. The parking lot was freshly plowed. We warmed up on The Road and then completed the Viking Route at a moderate pace with stops to rest and chat with our group and other skiers. We had a few brief moments of snow flakes. 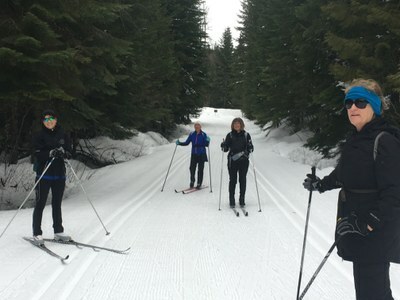 Our c. 10 k of skiing took around 2 hours. The hills on the Viking Loop are fun!